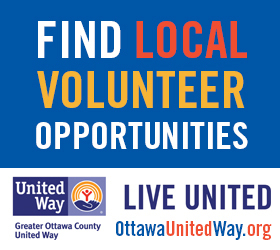 Search the Ottawa County Volunteer Center to explore volunteer opportunities at more than 75 local nonprofit organizations. Sign up to get volunteer requests and track your volunteer hours. Click HERE to learn more and sign up today.